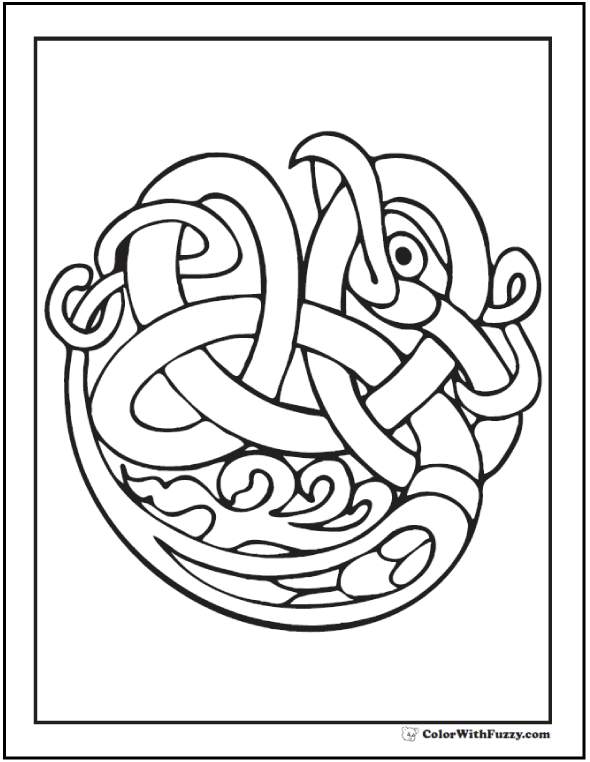 This Celtic bird coloring page shows a bird form in a knot with wing and talon knot design. This PDF prints to 8.5x11 inch paper. Can you see the bird's beak, wing, and talon?